Originally created for Big Dance at Liberty Festival 30th August 2014, Missing draws upon a recent true event in Laura's life and the concept of uncertainty and indecision, not knowing what to do next. Missing premiered as a feature long piece as part of Sadlers Wells festival =dance : Statement Pieces, featuring music written and performed by both Junior Williams and Laura Dajao. With live performances from Junior Williams (Jazz Singer) and Oktawia Petronella (Classical Singer and Pianist) - the solo expands on the concept of the performance above. 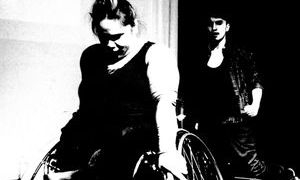 Further delving into a narrative based performance depicting the different emotions that unravel as one goes through a traumatic event, through a fusion of sign language, hip hop and contemporary dance styles. 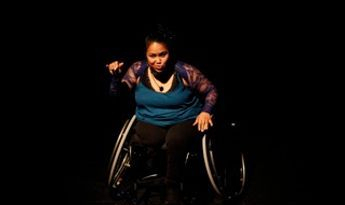 Introducing Hearns Sebuado as an integral part of the feedback process for =dance, Laura collaborates and focuses on the song Finding My Strength by Junior Williams performed at Incloodu- a deaf arts festival at Rich Mix 24th January 2015. Here - Hearns Sebuado choreographs on Laura focusing on the fusion of Hip Hop vocabulary and sign language to further develop this excerpt.